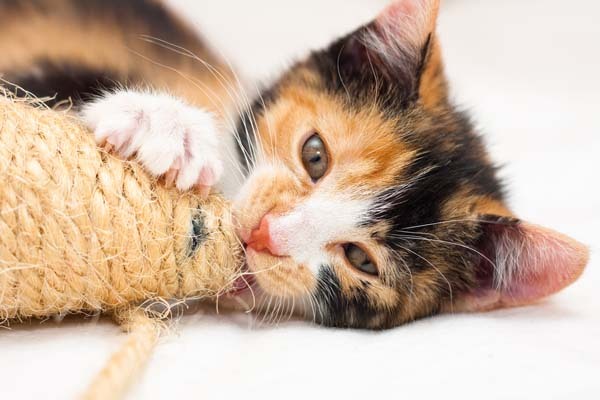 Used toys, scratching posts, litter boxes, carriers, and grooming tools can cause anxiety and bring disease to your cats; buy new or make your own. Wonderful treasures are found through Craigslist, Freecycle, garage sales, flea markets, and other resale venues. Additionally, in economically challenging times, these resale communities are choice for finding utilitarian objects at bargain prices. Although it’s enticing, leave behind all secondhand cat-centric items that were used by unfamiliar felines. They can cause your kitties to become ill or stressed, and also develop behavior issues. Cats have highly developed senses of smell — it is paramount for their survival. 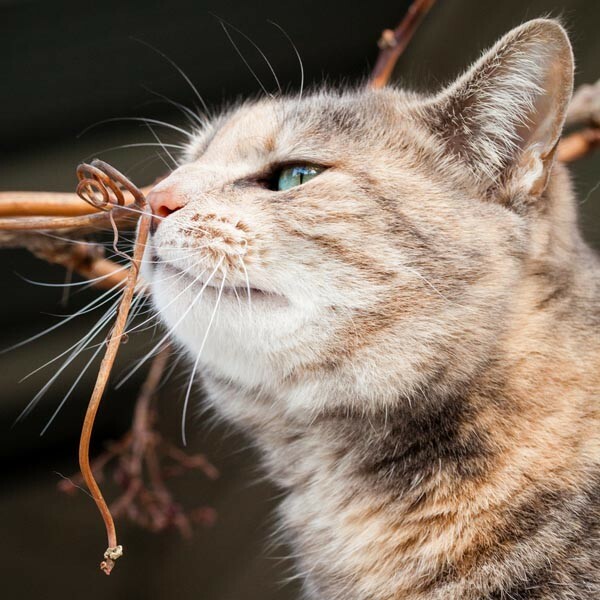 Olfactory clues help cats navigate their environment, and it functions as a means of communication. Scent also identifies a cat’s family and friends, and it helps cats avoid rivals and potentially dangerous situations. Cats also use scent to mark their territories and for signalling sexual availability. Olfactory signals last — scent can be detected long after an object has been marked. Although you probably can’t detect other cats’ smells on gently used bargains, your kitties certainly can. 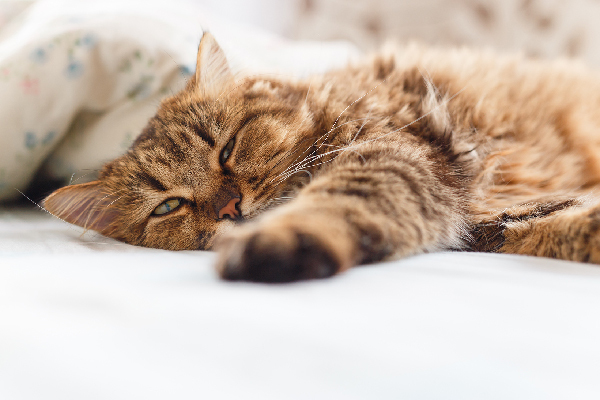 The scent of feline strangers can disrupt and threaten your established household cats. They don’t know whether a rival has invaded their territory. Cats distribute their scent a number of ways. Pheromones are secreted through glands located on different areas of their bodies. Scent glands on the bottom of the paws release pheromones whenever objects are scratched — marking territories and broadcasting information about the scratcher. Every time cats scratch, they leave little territorial messages for other kitties. They also mark and claim ownership by rubbing their cheeks and heads on objects such as cat furniture and toys. Olfactory clues left by scratching, head bunting, and cheek rubs linger long after they are deposited. Scent also binds individuals in a clowder together. 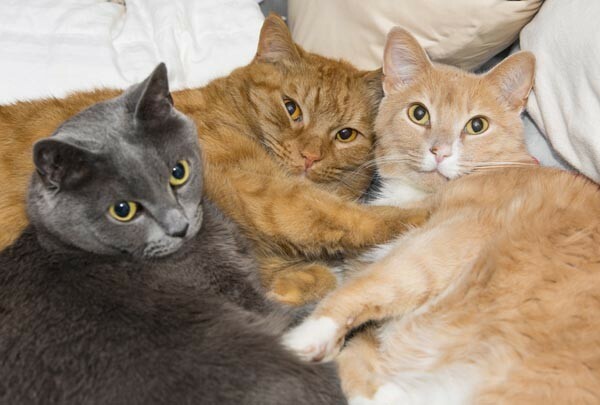 (A clowder is a group of cats.) Ferals as well as kitties in multicat households form groups. Developing a group scent is important — helps individuals recognize family and friends and identify potential rivals. This group scent is established through allogrooming and rubbing and is also distributed on shared resources. 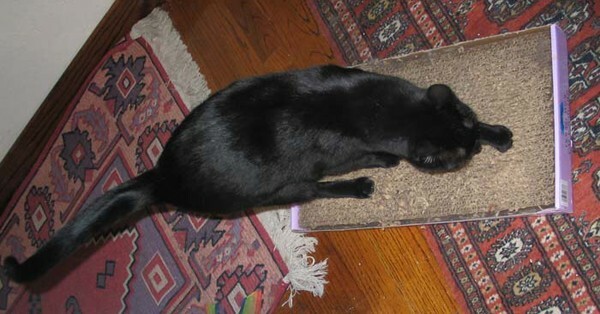 Although disputes sometimes happen, kitties who live together will use communal litter boxes, relax on cat trees, and play with the same toys. Introducing cat-centric objects that have unfamiliar cat scents on them can disrupt the dynamics of the group and stress the individuals. 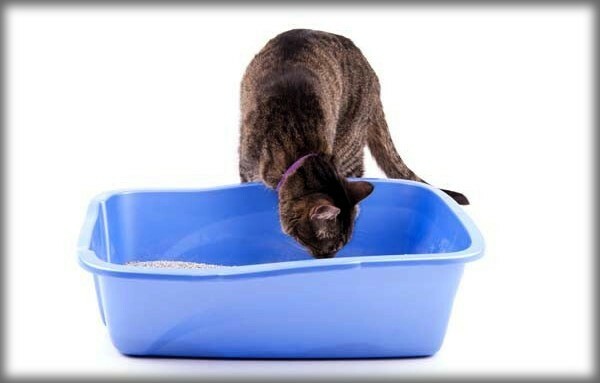 Used litter boxes, even if gently used by a stranger, shouldn’t be brought into your home either. Smelling an unfamiliar cat can upset the residents, sometimes to the point of avoiding the litter box. Olfactory considerations aside, used cat items have other built-in unknowns. The previous cat might have been ill. Some pathogens that are shed by sick felines survive in the environment for weeks, months, and years. Panleukopenia, a fatal and highly contagious virus, can exist for years at room temperature on objects. 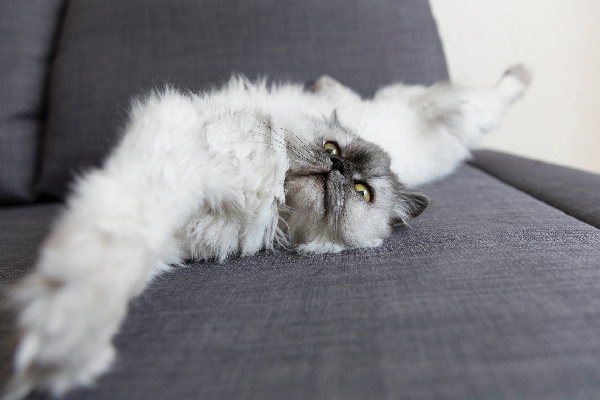 Ringworm, a fungus, is contracted by spores that are shed — it can easily live on grooming tools, cat furniture, and beds for as long as two years. These pathogens are robust, and decontaminating the objects can be difficult. 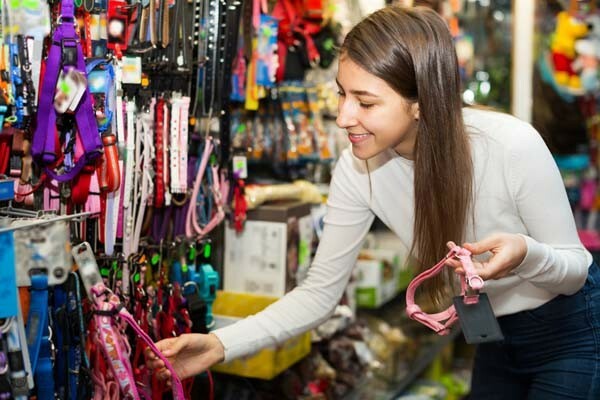 For your cat’s sake, it’s better to overlook the used bargains and invest in new. No matter how attractive and alluring secondhand cat items are, pass them by and buy new. Don’t take a chance on them, they’re risky. You don’t have to spend a lot of money on cat stuff — you can make your own. You can also build cat trees and put shelves up for climbing and perching. 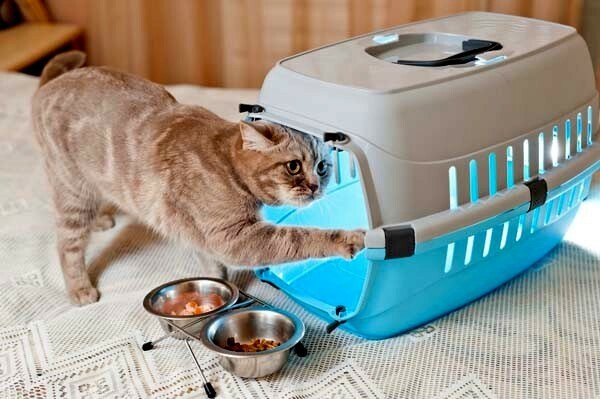 Instead of used litter boxes, buy large, plastic storage containers. They’re inexpensive and double perfectly as litter boxes. 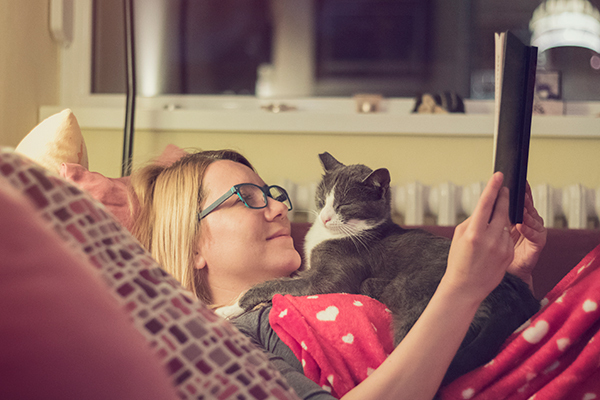 Buying new items or making your own will ensure your kitties aren’t stressed by the smells of felines they’ve never met, and it will help minimize exposure to potentially serious pathogens.